Although Motion represents a welcome alternative to After Effects at a good price point, it at times shows its version one "roots" when working with vector graphics generated in Illustrator. For example, while it can import native Illustrator files with certain options enabled in the Illustrator "save" dialog box, it cannot import multi layer Illustrator files as a "project" retaining formatting, names and layout. 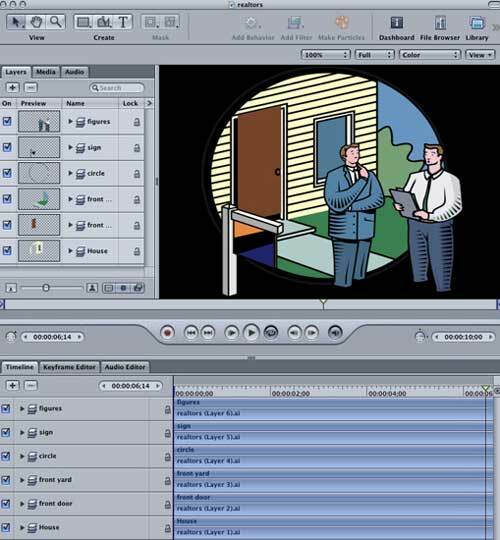 Individual files are first saved with the "PDF Compatible" option checked in Illustrator, and then imported individually for compositing in Motion. Once imported, you had to follow a multi step process in Motion to turn off the "fixed resolution" box in the Inspector so that the files would retain crispness when scaled. This inelegant process slowed workflow and the creative process in what was otherwise a real time program. Enter LayerLink 1.1 for Motion, a $119.00 plug-in that imports Illustrator multilayer files (including CS) as a project in Motion with separate layers for each of the layers created in Illustrator. 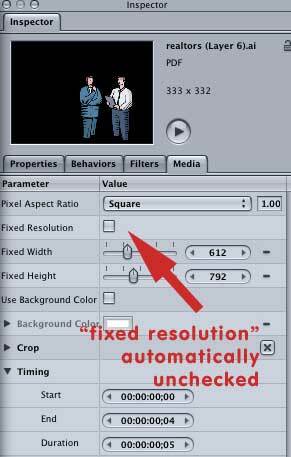 In addition, it automatically unchecks the "fixed resolution" box in the media tab to permit these layers to be continuously rasterized with no resolution lost when applying effects in Motion. This ostensible "one trick pony" performs an essential task for those of us who prefer to use vector files generated in Illustrator for some of our motion graphics. And, as you will soon discover, LayerLink comes with a whole circus full of tricks to ease workflow and accentuate the creative process using vector files. 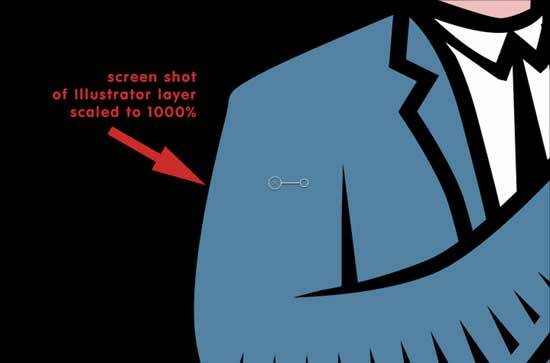 Create your Illustrator project using multiple layers, and name accordingly. 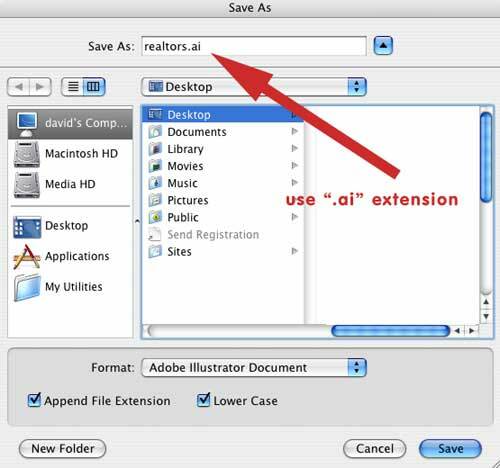 Save the file with the ".ai" extension in Illustrator or Illustrator CS. 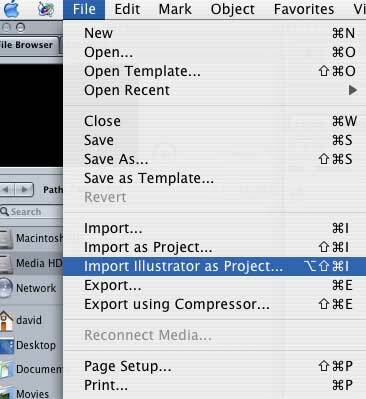 Launch Motion, and from the File Menu, choose "Import Illustrator as project . . ."
In the resulting dialog box, elect the ".ai" multilayer file you've created. 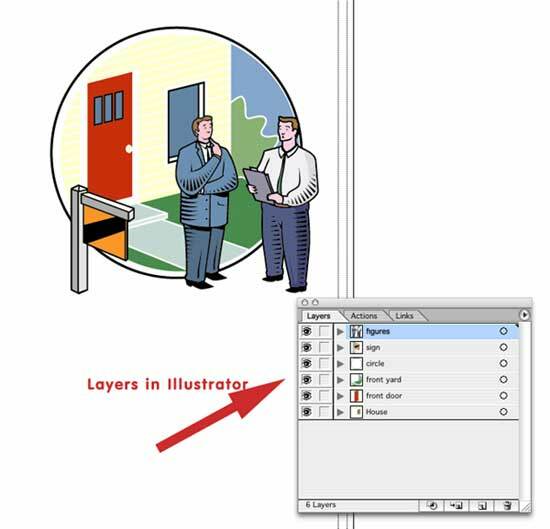 The Illustrator file opens as a project with a separate layer for each of the layers created in Illustrator. 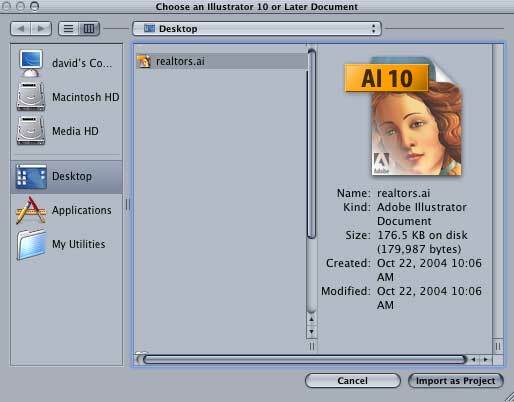 You'll notice that the layers tab details separate media for each layer of the Illustrator file, and LayerLink places each Illustrator layer in the timeline. Moreover, the project is composited in the canvas as it was created in the Illustrator file -- intact with all layer settings, names, and visibility. You do not have to manually uncheck the "fixed resolution" box in the Inspector/Media tab to preserve quality when adding filters, scaling, or completing other Motion work. LayerLink does it for you. Individual layers retain their vector sharp crispness and will "continuously rasterize" in Motion as they are scaled even as high as 1000%. Adding filters, behaviors and scaling also preserves crispness, but you have to be careful due to how Motion has apparently implemented continuous rasterization when filters are added. 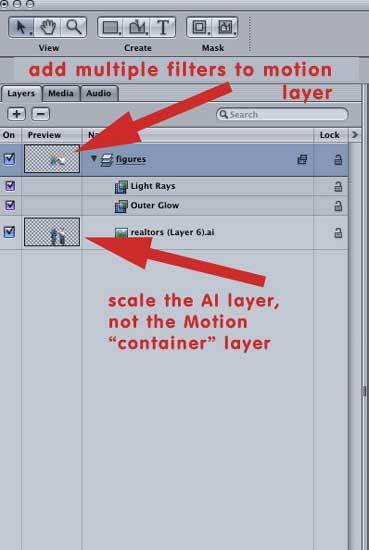 You must add the filter to the Motion "container" layer holding the Illustrator layer, and then scale the Illustrator layer, not the "container" layer. Otherwise, you'll see a significant loss of resolution. This is something Apple should address in future versions of Motion. It is a far better workflow to permit the scaling of the Motion's layer container rather than the layer representing the Illustrator layer. LayerLink 1.1 also automatically updates your Illustrator layers in Motion as they are modified in Illustrator. Change a color, or resize a layer in Illustrator, save the file, and your open Illustrator project in Motion is updated. New layers created in Illustrator can be added or substituted as well. Any of the layers can be grouped as a single layer, and modified accordingly. LayerLink is the first, to my knowledge, native third party plug-in for Motion. It therefore doesn't rely on the spotty implementation of 3d party plug-in support in the current version of Motion. Layers can be manipulated in real time given the fact that the "plug-in" characteristics of LayerLink relate to its import capabilities. Ampede should be shortly providing a manual in some form for LayerLink, although one is apparently unnecessary given the well implemented feature set of the plug-in. The web site will soon have additional sections for a user forum, tips and tutorials and additional resources. This plug-in represents the first blow in a growing effort by third party developers to provide additional resources to augment the feature set of Motion in the creative process. Some will balk at the $100 price for this plug-in. However, the ease with which it facilitates the use of native multilayer Illustrator in Motion makes it indispensable in my view.